How many triangles are in this drawing? 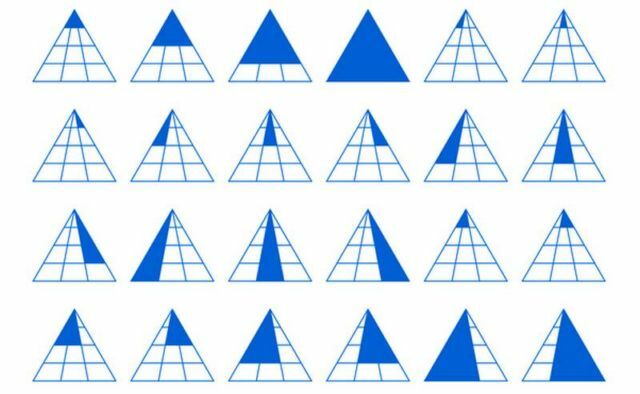 In this simple drawing there are (a lot) of triangles. Can you find them? 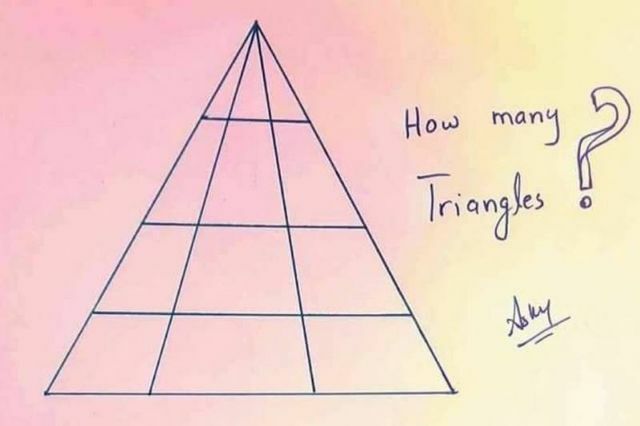 Created by Kumar Ankit and shared online the above triangle, received answers range from 4 to 44.